Kodiak’s series DSM35LP mini diaphragm seals are designed for gauges 1.5″ to 6″ in size in low pressure and vacuum ranges, and are also acceptable for pressure transducer/transmitters or other small displacement instruments. They feature an all welded design, a standard pressure rating of 2500psi with 5000psi available, and a female threaded standard process connection with a male threaded connection available. 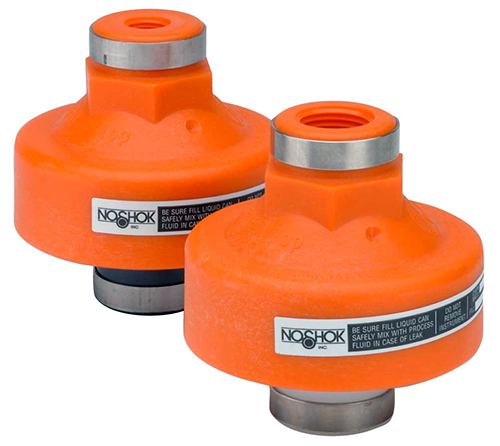 Kodiak’s series DSM35 mini diaphragm seals are designed for gauges 1.5″ to 3.5″ in size and are also acceptable for pressure transducer/transmitters or other small displacement instruments. They feature an all welded design, a standard pressure rating of 2500psi with 5000psi available, and a female threaded standard process connection with a male threaded connection available.